immersive Mouth and teeth 3.3.0 http://www.nexusmods.com/fallout4/mods/903/? The Eyes of Beauty 2.4 http://www.nexusmods.com/fallout4/mods/133/? Young Female face texture 1.0 http://www.nexusmods.com/fallout4/mods/552/? 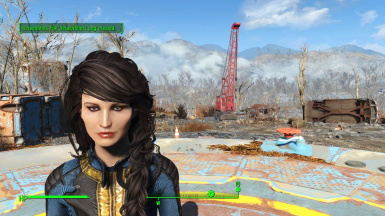 Commonwealth cuts - KS Hairdos 2.2 http://www.nexusmods.com/fallout4/mods/11402/?